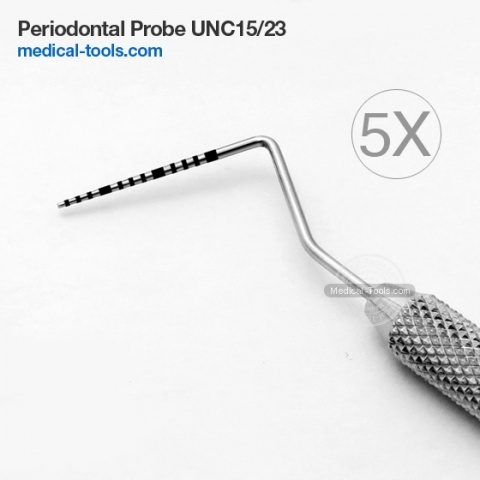 Dental explorer is also called a sickle probe. Dental explorers are used to enhance tactile sensation. 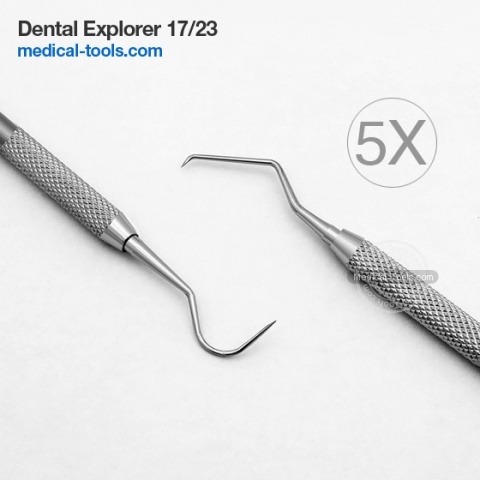 Explorers are most commonly used tool used in dental examination. Explorers have a sharp pointed tip at the end. Explorers can be single-ended or double-ended. A Periodontal probe has a long, thin, and blunt end with measurement. It is used to measure pocket depths around a tooth. Medical Tools probe and explorers have non-rusting handle. Probe and explorers are available in various styles.